There’s no question that higher education is important — and creating a scholarship program can be an invaluable way for your company or foundation to support students and employees. What better way to help deserving students than to help offset the cost of their education? Whether you’re an individual, a family, a member of an association or private foundation or a human resources representative for a company, we’ve laid out five essential factors to guide your scholarship steps. The groundwork for starting and funding a scholarship program begins with answering questions about how and why it’s being created. Are you seeking to honor a loved one? Is your company interested in helping your employees put their children through school? Does your organization want to help students in specific fields of study? If you’re donating to a university, will you provide an endowed scholarship? Clarifying the use of scholarship funds will help guide your future decisions regarding scholarship size and scope. Eligibility: Who qualifies for the scholarship program? Number of scholarships: How many scholarships will you award? 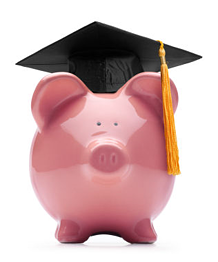 Renewal: Will you offer one-time or renewable scholarships? Timing: What are the scholarship application opening and closing dates? When will payments be made? Frequency: How often will you or your organization offer the scholarship program? Evaluation, selection and notification: Who will design the application, evaluate submitted applications, make award selections and respond to student and parent questions? Payment: What is the process for making payments? Just as the famous saying goes, time is money. All the planning and execution of a scholarship program requires the resources to pull it off, from creating the application to selecting the review committee. Do you or your organization have the assets to offer, manage, award then repeat the scholarship process the following year? The important question to answer here is how to get the most out of running a scholarship program while balancing your workload. In addition to the work hours you’ll need to set up your scholarship, you and or your organization will have to calculate the cost of offering and maintaining a scholarship program at the scale you need. Legal and accounting services, printing, mailing and promotion are all viable expenses that could go into scholarship program management. Additionally, according to Pew Research, fully 95 percent of teens and young adults are online, making technology an increasingly important factor of scholarship programs — especially if younger generations are your target audience. You’ve thought about the scholarship you want to offer, and you’re committed to seeing it through. But the details of offering one can seem more complicated than you or your organization can afford to take the time to learn. In these cases, outsourcing your program to a scholarship administrator may help ease the burden of labor while freeing up more time for your staff. Outsourcing also provides third-party neutrality in award selection while ensuring that the scholarship program still meets your needs — whether finding a diverse pool of external applicants or retaining employees within your organization. Utilizing an administrator’s expertise can go a long way in running a successful program. As an example, we encourage you to read how the GM Foundation benefited from third-party management through Scholarship America, to create and manage one of the largest scholarship programs in the U.S. Starting a scholarship program is exciting, and there are a number of ways to help individuals achieve their educational goals. As we’ve covered on this blog before, the benefits are plenty, and resources from experts can help guide you along the way. Throughout our 56-year history, we’ve seen how scholarships enable students from all backgrounds to better themselves and our country — a gift that perpetuates itself for future generations.